ORDERS FROM CUSTOMERS OUTSIDE THE U.S. POSTAL SYSTEM ARE SUBJECT TO PRE-APPROVAL FROM US BEFORE ACCEPTANCE, AND ARE SUBJECT TO ADDITIONAL S&H CHARGES DUE TO THE EXTRA EXPENSE OF SHIPPING OVERSEAS. WE RESERVE THE RIGHT TO REFUSE SUCH ORDERS IF PLACED BEFORE RECEIVING APPROVAL, AND TO REFUND PAYMENTS MADE BY PAYPAL FOR SUCH ORDERS WITHOUT NOTICE TO THE CUSTOMER. SEE ADDITIONAL DETAILS BELOW. Unless clearly stated otherwise, all items on this website should be considered one of a kind and are subject to availability due to prior sale. All prices are subject to change without prior notice due to market conditions. All items are guaranteed genuine, in perpetuity. We offer a 5% discount on orders over $100 less S&H (for individual items or a combined total) for payment by check or Money Order. This does not apply to Bullion or Bullion-related items (common sense please) OR for Layaway orders. PLEASE SEE the "A Note About Our Prices" page under our Home Page dropdown menu. Grading: Please see below for a full statement of our grading policy. Also, please see our Glossary of Terms page for an explanation of grading terminology. Forms of Payment Accepted: We prefer and accept personal and business checks, which may require bank clearance before shipment, or Money Orders. We also accept PayPal for all items except Bullion-based items. We do not accept direct credit card payment for orders off this site, however we can Invoice customers through PayPal for payment with a charge card, for those customers who do not have a PayPal account. Please check before payment if there are any questions. Please see below for a full discussion. PAYMENT FOR ALL ITEMS IS EXPECTED WITHIN TWO WEEKS, unless placed on Layaway, or unless other arrangements are confirmed with us IN ADVANCE. All items remain the property of Tipsico Coin LLC until paid for in full and items not paid for within 14 days will return to stock and be placed back on sale. NO SALES TAX IN OREGON! - All sales are deemed to have taken place in Oregon as the place of business. SHIPPING AND HANDLING: To U.S. addresses, orders below $200, please add $5.00 S&H; orders from $200.01 to $300 please add $6.00 S&H; orders from $300.01 to $400 please add $7.00 S&H; orders from 400.01 to $500 please add $8.00 S&H; orders over $500, please add $10 S&H. These charges apply to orders to addresses within the U.S. Postal System. Orders outside the U.S. are subject to additonal shipping charges, and we reserve the right to solicit additional funds to cover excess postage or Insurance fees. Orders outside the U.S. Postal System are also considered non-refundable if lost unless indemnity for loss is specifically paid for by the addressee. All numismatic items ordered off of this website have a full, no questions asked return privilege of 15 days if imaged on the site; non-imaged items have a 30 day return privilege. Items returned must be in the original, unopened holder (2 by 2, clear sealed flip, slab, sealed currency holder or certified currency holder). BULLION ITEMS as well as bullion sensitive items (such as common Morgan Dollars in bulk, etc.) are sold AS IS and cannot be returned. The exception to the 15/30 day return period is for returns due to issues of authenticity; please see below. Returns are normally paid for by company check; smaller amounts under $10 are credited to your account. Shipping, or other associated fees, are not normally refundable, unless for reasons of questionable authenticity, or in the case of a gross error on our part. There is NO "restocking" fee charged for a returned item, unless the order was paid for by PayPal, Visa or MC - in this case we deduct 5% from the sale amount simply to cover our cost in taking the payment. We will try to maintain this policy unless it becomes necessary to change it if abused - while we do want our customers to carefully consider the items they purchase, we are not an approval service. ALL ORDERS sent outside the U.S. are considered sold AS IS, and are non-returnable unless due to gross error on our part. Items shipped outside the U.S. Postal System are also non-refundable if lost, UNLESS sent by Registered Mail, Insured Priority Mail or Insured Express Mail. This is subject to the limitations of allowable insured value or the customs requirements/limitations of the country being delivered to; please contact us for details. No guarantee of any kind as to deliverability is implied, however to date we have lost very few items sent outside the U.S. in ten years, as far as we know. Unless clearly stated otherwise, all items on this website should be considered one of a kind and are subject to availability due to prior sale. We make a serious effort to update items that have been sold, but it is possible that something may escape our attention, or may be sold at a coin show at the same time it is being viewed on our site. For this we express our regrets, and suggest that second choices may prove helpful. Please contact us if you have any questions regarding availability. All items are guaranteed genuine, in perpetuity. If an item sold by us "raw" is certified as having “questionable authenticity” by a competent, recognized third party authority (i.e. specifically PCGS, NGC, ANACS, SEGS, ICG or DGS), we will refund all costs associated with the item including S&H and authentication fees. This includes periods beyond the normal return period. If a customer intends to have an item submitted for authentication, we would appreciate notification in advance so we can maintain a digital image of the item in question. Returns for issues of authenticity must include the coin as sold with original certificate or other paperwork indicating non-authenticity. Non-Bullion Items: All prices are subject to change without prior notice due to market conditions. We try to honor all website and catalog prices, but in certain cases it may not be possible if market forces dramatically affect price before we can update our site.We will also not be held responsible for price errors of a typographical nature - the standard of reasonableness applies here. Bullion: All prices on Bullion or bullion related items published on this website should be considered indications only, unless clearly stated otherwise. All prices are subject to change with market; please call to confirm price and availablity. Grading: “Grading is an art, not a science”. In truth, it is an amalgam of art and science, but based upon experience. As such, not all graders will agree on the precise assigned grade for a particular item. Our stated grades for raw (i.e. 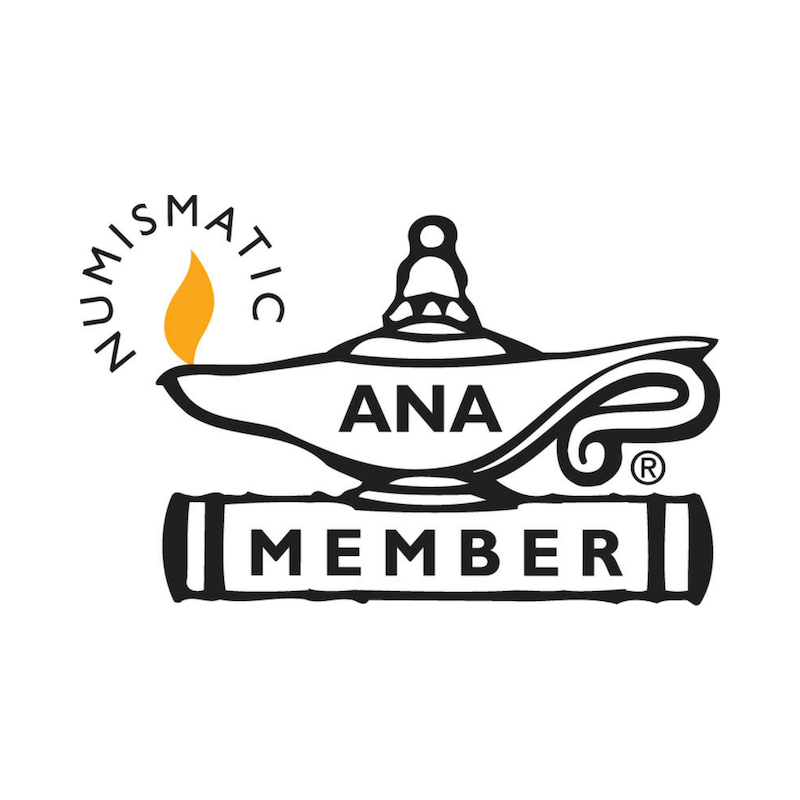 uncertified) coins are our considered opinion, based upon experience and our interpretation of the ANA and other grading standards and guidelines. For Uncirculated coins, we also use our interpretation of the accepted industry standards as established by PCGS and NGC for encapsulated coinage. However, no warranty is stated or expressed as to what precise certified numerical grade may be assigned by any grading service, should a raw coin be submitted, as they do not use technical grading standards to assign a grade - rather it is based upon each company’s internal “market” standards. Our stated grades for tokens and exonumia are our opinion based upon accepted general standards, since precise standards have not been developed. 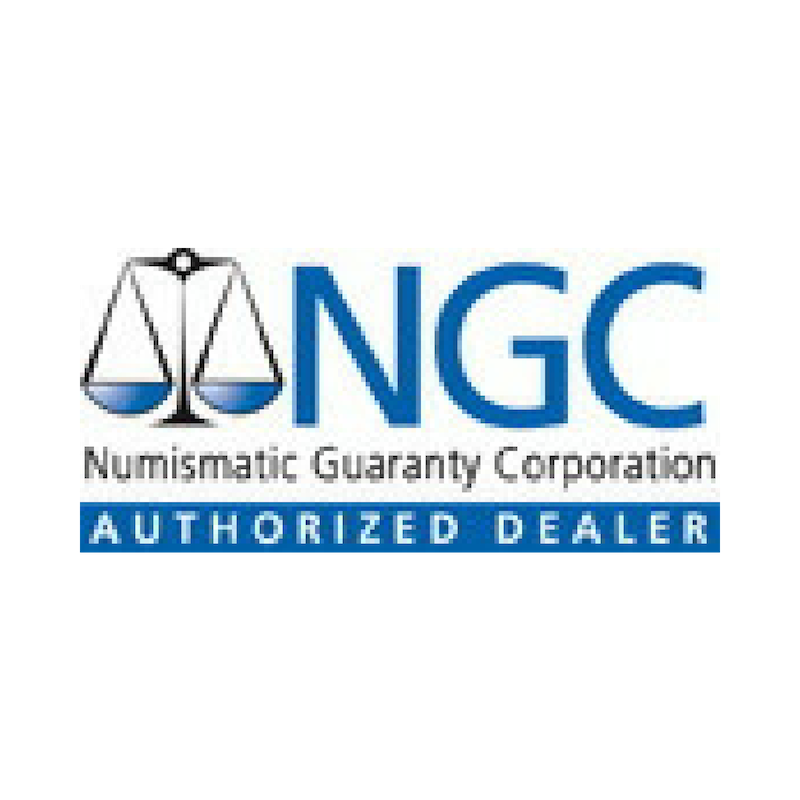 Our grading on So-Called Dollars generally follows what NGC typically grades these, again based upon our actual experience. Payment by PayPal will be shipped only to the registered PayPal address, as provided by PayPal when we receive notification of payment. However, we reserve the right to refuse payment by PayPal for any and all items on this website. This only typically happens in the case of suspicious or "questionable" transactions. Layaway Policy: The minimum layaway amount is $150.00. Bullion items as well as bullion price sensitive items are not eligible for Layaway. Items purchased on Layaway are also not eligible for our 5% cash discount. The Layaway sales terms are 1/3 down to hold the item(s), the balance over 60 days (1/3 each per month). If an item is not paid for within 60 days, we may declare the sale void, the initial deposit payment is forfeited and the item retruned to stock. Items purchased on layaway, paid for and sent, then returned for refund or credit are subject to a 10% restocking fee (this may be waived if sent back for a credit on another item, at our discretion). These terms require payment by check or Money Order; payments by credit card or through PayPal MAY be acceptable on an individual basis, however this requires prior approval from us before purchase, and requires an additional service charge to account for excess merchant fees paid. Any questions, please check with us. NO SALES TAX IN OREGON – all sales are deemed to have taken place in Oregon as the place of business, and all applicable laws of the State of Oregon and Benton County apply.